Dr. Patrizio P. Caturegli is an associate professor of pathology at the Johns Hopkins University School of Medicine. In 2016, Dr. Caturegli became the Director of the Immunology Laboratory, taking over from Dr. Barbara Detrick who served as Director from 1999-2016. Dr. Caturegli earned a medical degree from Italy's Faculty of Medicine E Chirugua University of Pisa. He completed a residency in endocrinology at the University of Pisa and a residency in pathology at Johns Hopkins. He performed a fellowship in public health at Johns Hopkins where he also earned a M.P.H from Hopkins' Bloomberg School of Public Health. 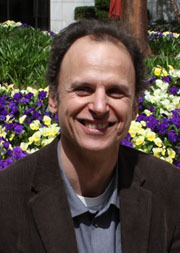 He joined the Johns Hopkins faculty in 1999. Dr. Caturegli's clinical focus is autoimmune diseases of the endocrine glands. These include myocarditis, thyroiditis, hypophysitis, Sjögrens Syndrome and complete congenital heart blockage. An immunopathologist, Dr. Caturegli is the Director of the Johns Hopkins Hypophysitis Center and serves on the faculty of the Autoimmune Disease Research Center. He is American Board of Pathology-certified in clinical pathology and has published more than 100 journal articles.